Whether you’re doing it to find a job, start a new business, or simply meet new like-minded people, the ability to network effectively at events is a long-lost skill. While it can be encouraging to pick up dozens, or even hundreds, of business cards at an event, the ultimate signal of success while networking is the ability to maintain these contacts in a meaningful relationship in the long-term. This approach usually requires some thought and planning, much of which doesn’t come naturally. 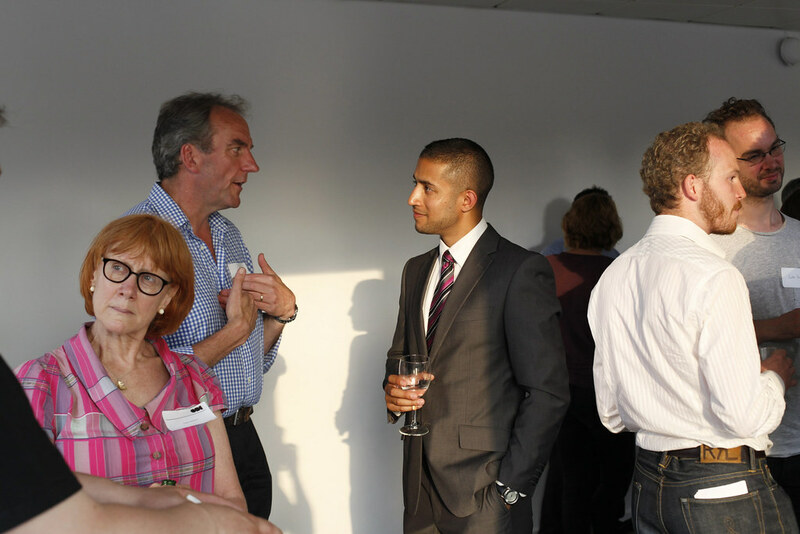 This post will address how to fully prepare for and execute a networking plan at an event. Perhaps the most important thing to consider in terms of attending an event is to make you’re attending the right one. Facebook: Look to events that your friends post, but also look to join groups and events that aren’t associated with any of your friends. This makes it easier to branch out from people and places with which you’re familiar. LinkedIn: It’s also important to join groups on LinkedIn, as they are often associated with specific industries that have events. Getting familiar with organizers and attendees prior to the event may allow you to see if the event is right for you, and let you to know who to approach beforehand. Meetup: Meetup allows you to learn about groups and events that usually take place on a regular, scheduled basis. Its website both allows members to discuss the event prior to and after its occurrence on the group’s page. It can also be used to find either professional or non-professional groups. Eventbrite: Eventbrite allows you to explore local events through search and map-based functions. It has a specific networking section that can make it easy to discover everything from social mixers to panels to everything in between. While there are a number of ways to network effectively, one general tip that applies to most is being as methodical and organized as possible. If you’re in sales or starting a business, you will want to look for specific types of clients. You will also want to have a long-term plan in terms of whom you’d like to associate with in the future, based upon the types of people you’ve successfully interacted with in the past. If you’re looking for a job, you will want to know which employers will be present at the event, and do some research. Know the backgrounds of the companies you’re interested in, research previous events by the host, and see if you can request an introduction to a hiring manager or influencer within any given company. While you should be prepared, you should not come off as being rigid when you approach someone you’ve targeted at an event. In other words, don’t recite a script you made the night before. Almost everyone is a little anxious when it comes to meeting new people and trying to set a good impression. In a way, this makes it even more important to stay cool and composed: it helps you stand out from the crowd. Another benefit is that people will see you being relaxed, and feel more comfortable talking to you. You will also be more likely to have a free-flowing conversation with someone whom you meet on the spot. Everyone is networking for a reason, and if you can get to know them on a much deeper level — a prospect that becomes much more likely when you’re relaxed— you’ll be able to likely discover why the other person you’re talking to is at the event. Continuing the conversation has a couple of different meanings. First of all, if you are enjoying talking to someone as the event is winding down, you can offer to take the conversation to another location. This could mean to a bar or restaurant, to the street outside the event, or to an afterparty. A networking event is simply meant to facilitate conversation, and its end shouldn’t mean the end to a mutually enjoyable discussion. Once you’ve been able to leave the event and have the time, connect with those you just met via social media. Adding them on multiple channels— including Facebook, Twitter, and LinkedIn— makes it more likely that you’ll stay in touch in the long-term. Speaking of the long-term, it’s important to never discount the importance of continuing to stay in touch, as even if you can’t help or be helped by a given person at the moment, there is a decent chance that the connection will pay off in the future.